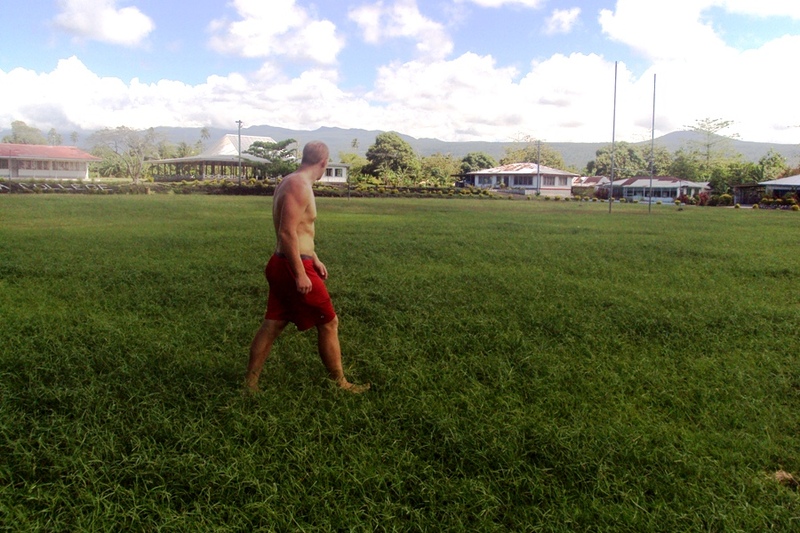 Matt's Samoa Blog: Where Have I Been? Originally, the plan was to actually write and publish 4 posts tonight. I was going to start with Thursday’s Odds and Ends and power right on through to writing a treatise about today’s National Memorial Service for the one-year anniversary of the tsunami. But it’s 10 o’clock now, and I have too much non-blog stuff to do to justify spending the next 4 hours writing and cropping photos. My pule wants the magazine to be finished tomorrow, and I want my law school personal statement to be finished tomorrow. So I going to give you a synopsis of the last 4 days, so you’ll be all caught up. That cool with you? We ended school early on Thursday because a group of Samoan Kiwis came to hang out with the year 13s during what would usually be camp. After school let out, I went down to the Peace Corps office to work on some things. I came home to change before heading out to Aerobic Dance Fitness at JP’s Fitness Center. After showering I had dinner at Peace Corps Admin Director Denise’s house, after which I helped her husband Otis with some algebra class he’s taking over the Internet. I got back to school in time to watch the kids clean. People seemed pretty annoyed I wasn’t there for the Kiwi visitors. Oh well. I can’t be everywhere. I wanted to go to Savai’i this weekend, but a wrench was thrown into that plan when Phil texted to say he was sick and would be both contagious and not fun to hang out with. So I invited myself to Dan and Paul’s. They were cool with it. Getting away from my campus was difficult. Upon hearing I was heading to Savai’i, my pule decided that moment was exactly the right time for me to install the printer on my vice pule’s machine. She didn’t have enough outlets in her office to plug the printer in. I left. I’d never been to Dan or Paul’s house before. So I can check that off the list. Now the only 81 houses I haven’t been to are AJ and Erin. I’ll get to both if time permits. Paul got up early to go get email addresses for his students at the Internet cafe. I slept in, and then Dan and I caught a bus into Salelologa. The bus was an hour late, but we were in no hurry. Le Waterfront was closed, which was mildly heartbreaking, so Dan and I got fish-n-chips at a lesser restaurant. Then we headed down the street to Lusia’s Lagoon Fales where we whittled away the evening with a bunch of other volunteers. I caught the bus into town so I could make the 10 o’clock boat. The boat ride was uneventful. For no particular reason, I treated myself to a meal at McDonald’s. By the time I got home, I had enough time to briefly charge my camera and change my shirt before running out the door to get to the National Memorial Service at the Taifagata Cemetery. It’s a long story that I won’t get into here, but I was a photojournalist for the day. There was an incident that involved a dog—maybe I’ll tell you that story tomorrow. I came home, trucked over to the hi-speed Internet to submit my photos, and now I’m here. I’ve got the magazine to finish next, and though my personal statement is passable at this point, everyone keeps saying it needs to have more of a tangible story. But I’m having trouble relating teaching 6th grade middle school in Oakland to anything having to do with the law. There are some major issues that need to be dealt with. It’s going to be a late night. I hope you’re well. Apologies for the missed days. Pictures below. 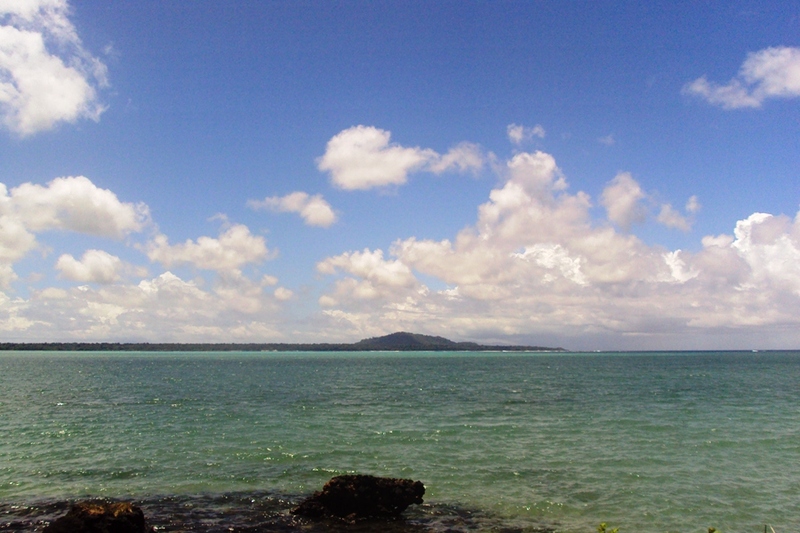 The ocean in front of Dan and Paul's school. Grrr.... Blogger has changed the way users upload photos. The new way is lousy. It's not letting me upload anymore right now. And it's taken a half hour to get these 3 up. So I'm going to stop now. More photos tomorrow. The Public Advocates lawsuit against Oakland School District for placing inexperienced teachers in the troubled schools isn't tangible enough? 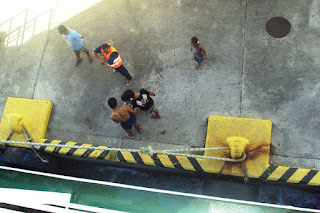 isn't teaching high school in samoa more of a tangible story?